Jeffrey is originally from Philadelphia, Pennsylvania (the Soul and R&B capital of the world), but now resides in California. Jeffrey's family was in the music business when he was growing up so the sounds of music have been a part of him during his entire life. He began playing violin at the age of 6 (not his choice). 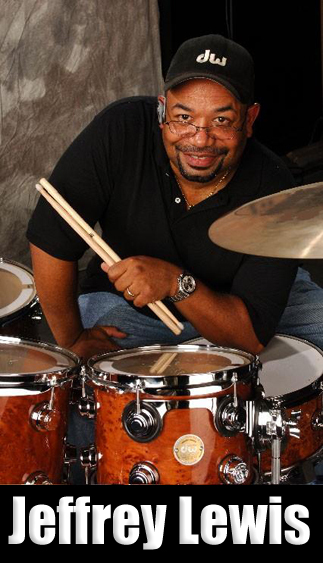 He later heard and saw drummer Gerry Brown performing with his brother (keyboardist Velbert Lewis) during a TV performance and Jeffrey found his musical calling, his love for the drums. 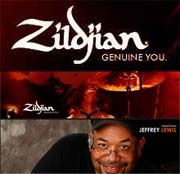 Over the years, Jeffrey has perfected his skills and has performed with an extensive list of music industry greats - Dionne Warwick, Smokey Robinson, Sheena Easton, James Ingram, Peabo Bryson, Gloria Estefan, The Spinners, Deniece Williams, Stevie Wonder, Gladys Knight, Olivia Newton John, Joe Sample, Ronnie & Hubert Laws & Family, Neil Sedaka, Marilyn McCoo & Billy Davis Jr., Helen Baylor, Paul Taylor, Rob Mullins, Zachary Breaux, Everette Harp and many others. Jeffrey has been touring with Dionne Warwick's Band for the past eight years (amid rave reviews) while writing and producing music for a number of top smooth jazz artists. Within his busy music schedule he has also found time to form a new record label "Black Note Entertainment". Under his new label, he is working on a solo music project and said he is looking forward to getting out on the road with his new band. "Drummer, songwriter, producer, Jeffrey Lewis - started his musical career in Philadelphia at the age of 6 when he began playing violin. He studied the violin for 6 years while experimenting with other instruments, seeking to find that one he could use to express himself freely. He found that instrument at the age of 8 when he sat down on a set of drums. 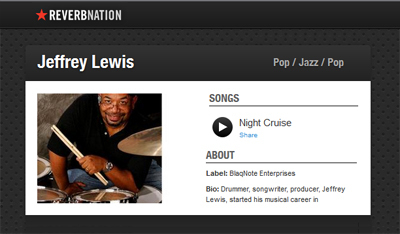 Jeffrey’s gift of music has provided him with the incredible opportunities to perform with some of the music industry’s greats such as Sheena Easton, James Ingram, Marilyn McCoo & Billy Davis Jr., Smokey Robinson, Gloria Estefan, The Spinners, Peabo Bryson, Deneice Williams, Stevie Wonder, Gladys Knight, Joe Sample, Ronnie & Hubert Laws, Olivia Newton John, Neil Sedaka, and many others. 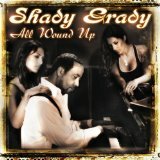 He has been touring with the legendary Dionne Warwick for the last 10 years. Jeffrey is also a talented songwriter & producer. One of his tunes can be heard on Smooth Jazz saxophonist Dean James album, “Intimacy,” which reach Billboard’s Top Twenty. Jeffrey is currently working on his own solo album as well as touring with numerous artists around the world. He has most recently partnered with a few musical friends to form a new record label, “Blaq Note Entertainment” which is sure to present amazing opportunities in the music industry. Not one to be satisfied with one career, Jeffrey is also a talented consultant who runs his own successful consulting firm, VLJ Consulting, Inc in the Los Angeles area. His client list includes Walt Disney, Childrens Hospital, Universal Studios, Sony Entertainment and numerous others.